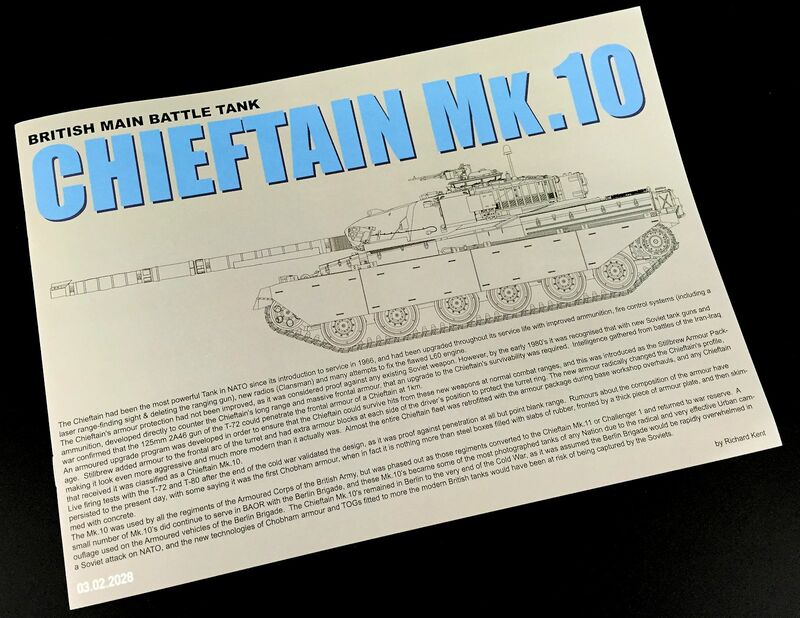 Excitement reigns on the workbench today, for the brand new, Chieftain Mk.10 from Takom in 1/35 scale has landed in my lap. 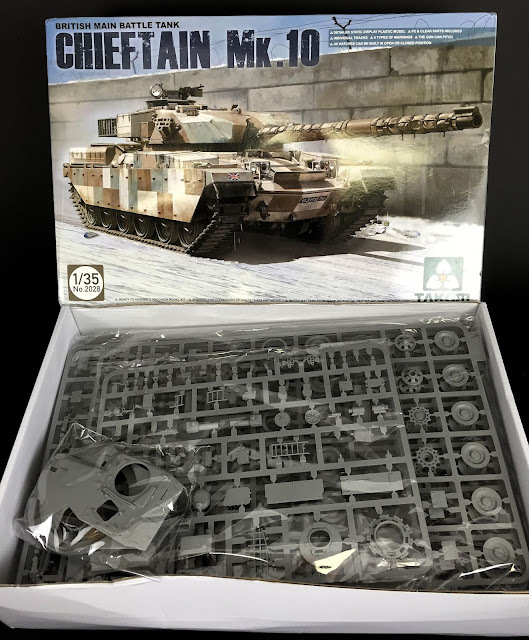 I will keep things simple for this quick review as I will be building and painting this kit in the coming weeks, but I couldn’t resist the urge to share with TMN my initial thoughts on this kit. On opening the parcel, the now familiar box art of the urban camouflage is unmistakable. It has been splashed about so often on social media and modelling forums for the past few months I feel like I know it intimately. 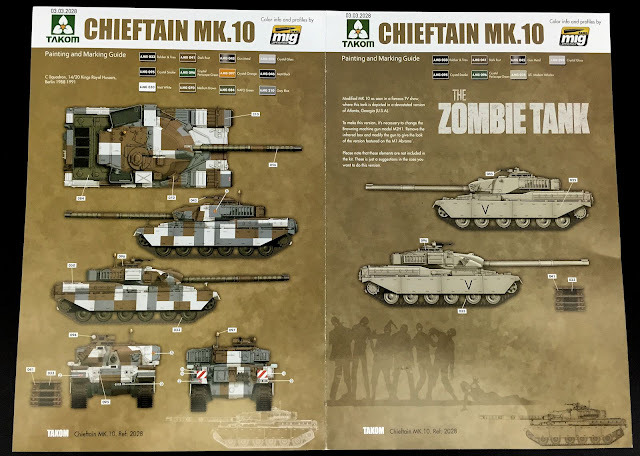 Mark 10 upgrade of the Chieftain had the addition of “Stillbrew” Crew Protection Package to the turret front and turret ring. Whilst Takom are releasing 3 boxings of the Chieftain, (the Mk.5, 10 and 11), I was immediately attracted to this version of the tank purely by the box art. I absolutely love the urban camouflage scheme. Those straight oddly placed disruptive lines are like nothing I have in the modelling cabinet and will be an exciting addition when complete. 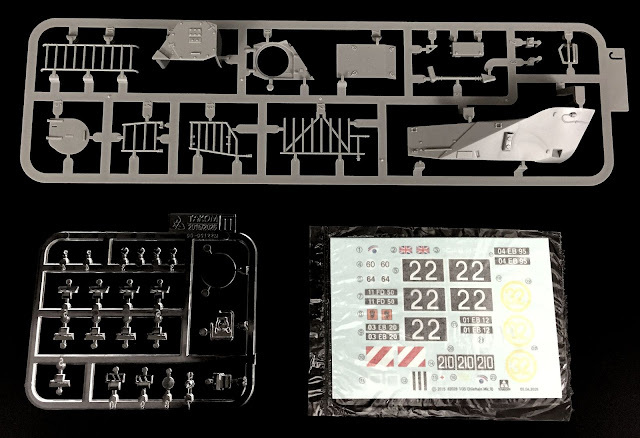 The bulk of the kit is moulded over 13 mid grey coloured sprues. The chassis and top section of the tank come as 2 moulded pieces, as is the turret. You also receive a sprue of clear parts, a small bag of track links, a small decal sheet and a soft plastic sleeve for the gun mask. The kit also comes with a finely detail photo-etch set that includes grilles and handles. 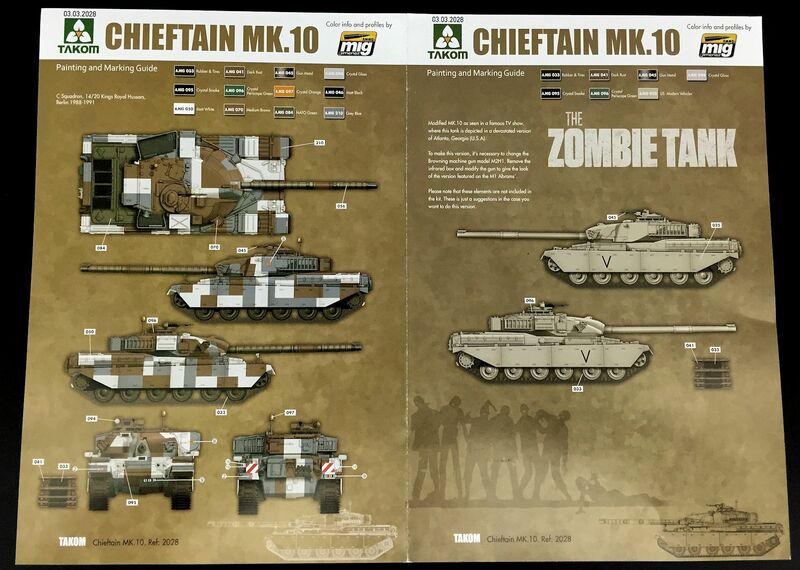 The typical Takom instruction booklet really has become a style unto itself. 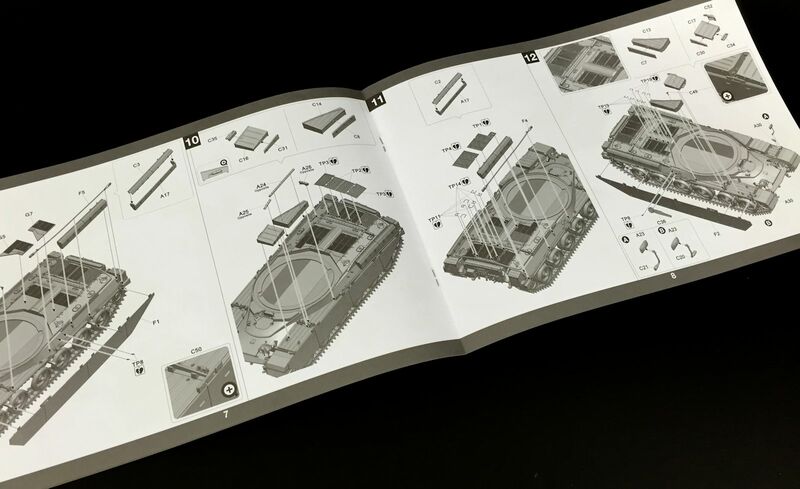 For what it is worth, this booklet actually feels a little more high quality than the previous instructions I have seen. I believe they have added a celloglaze to the cover. 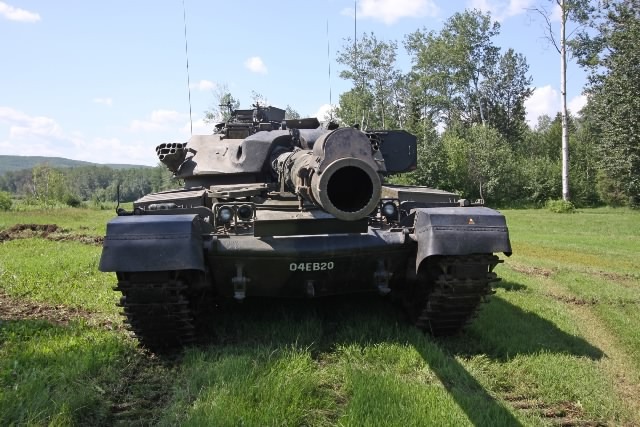 As a note to this markings scheme – this tank is marked as C squadron 14/20 King's Royal Hussars. This is incorrect. It was called the King's Hussars, not 'Royal'. 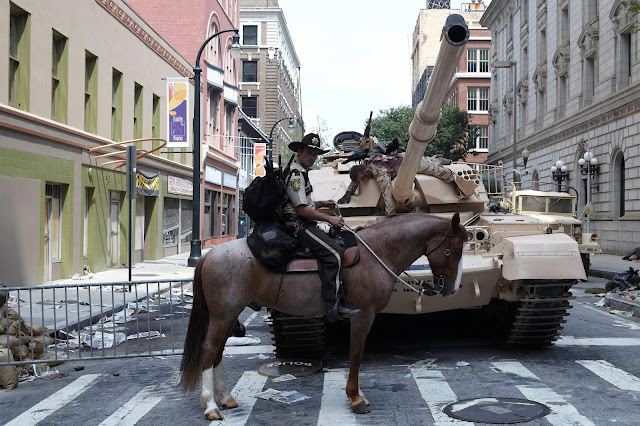 They were known as King's Royal Hussars, from 1992, following amalgamation with the Royal Hussars, the 14/20th also being dropped. Each of the schemes differs and gives the modeller real and interesting options for the model. That said I’m not sure who would like to build their model as a tank on a target range… but each to their own. 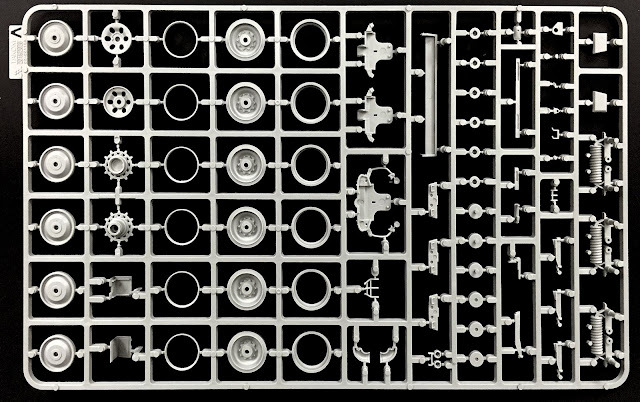 The tracks are supplied as individual links with the rubber footing supplied on a number of sprues. 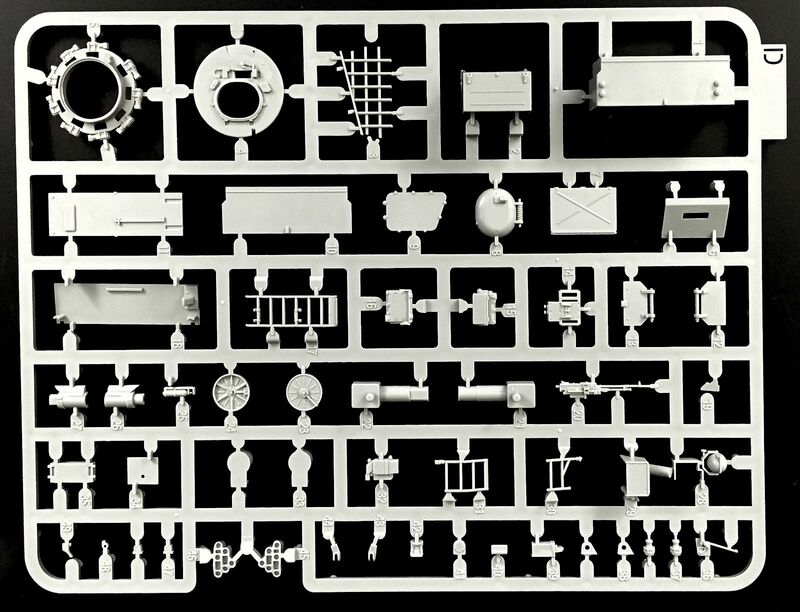 I was hoping the links would be set in a similar fashion to the tracks in some of the other kits Takom have made like the Whippet or the Mk IV, but unfortunately they will need to be glued in place. The moulding however is very tidy and I can so no need for any clean up on these pieces. The chassis and the top section of the tank are supplied in two pieces. There is a great deal of detail in the moulding as you can see. 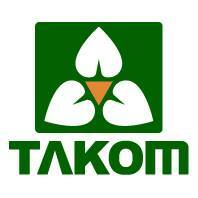 I do like the Takom way of thinking, in the fact that they seem to simplify the building process. They can’t be accused of over engineering their kits. 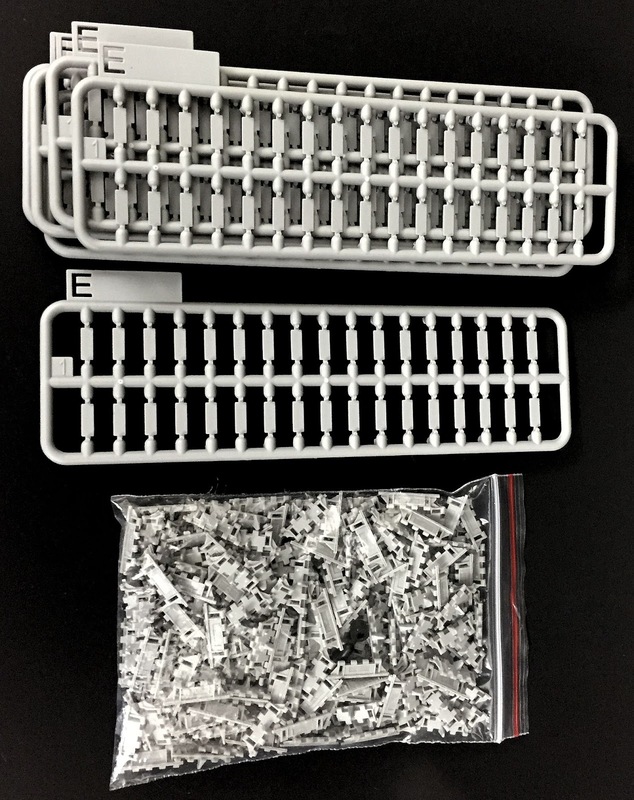 Why use 20 parts when it can be moulded in one? Well done I say. 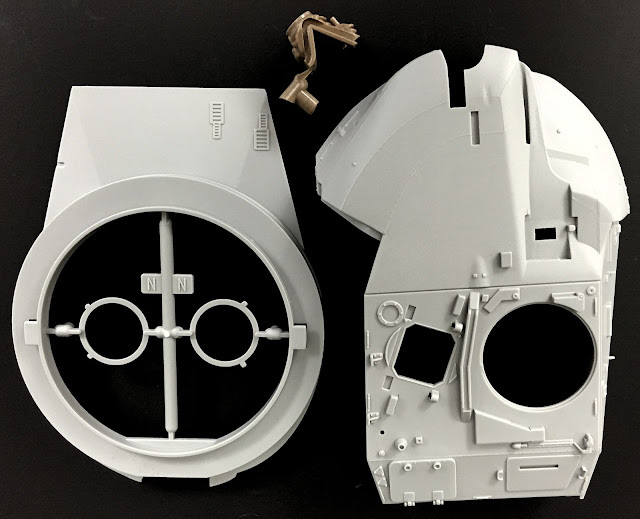 The turret is supplied in 2 pieces. Again, most of the structure is set and ready to go. Common sense engineering in my opinion. Here you see the soft plastic sleeve that sits at the base of the barrel. It represents the fabric shroud / dust sleeve where the barrel enters the turret. I have my concerns with this piece as to how the paint will hold on it. It is very soft and very flexible. Only time will tell, but I fear this will cause a few issues with paint down the track. Clear parts, decals and one of the smaller sprues. 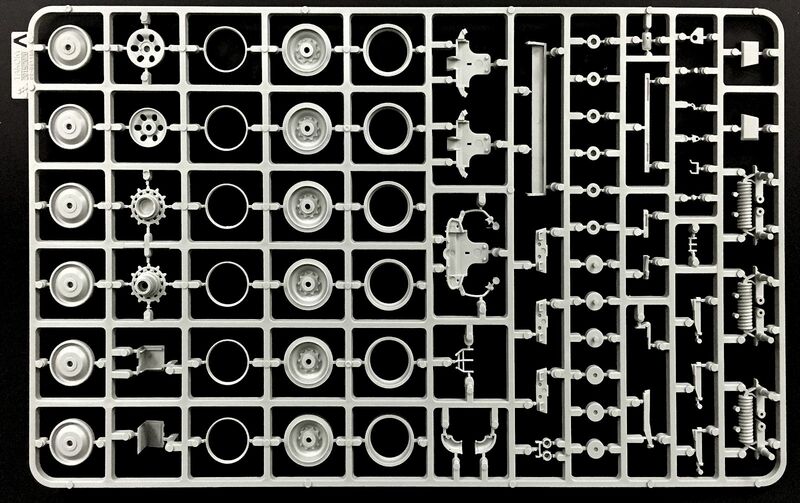 Sprue D contains many smaller parts. 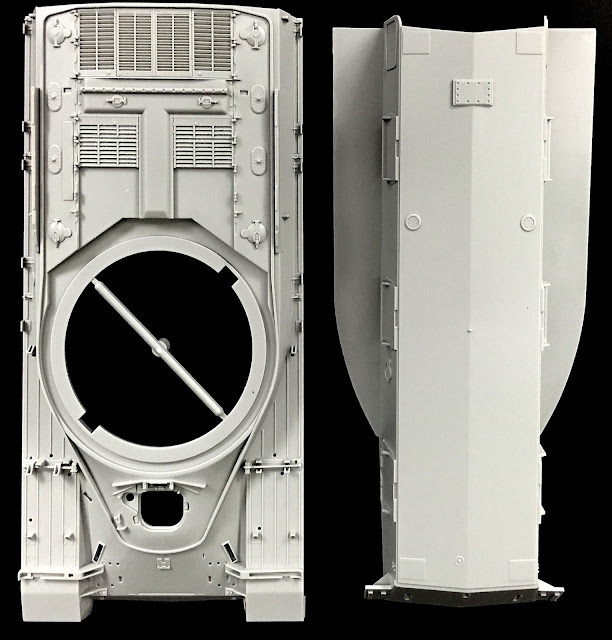 The commander’s hatch and various parts that attach to the turret. The detail on the machine gun looks to be very nice although you will have to hollow out that barrell. 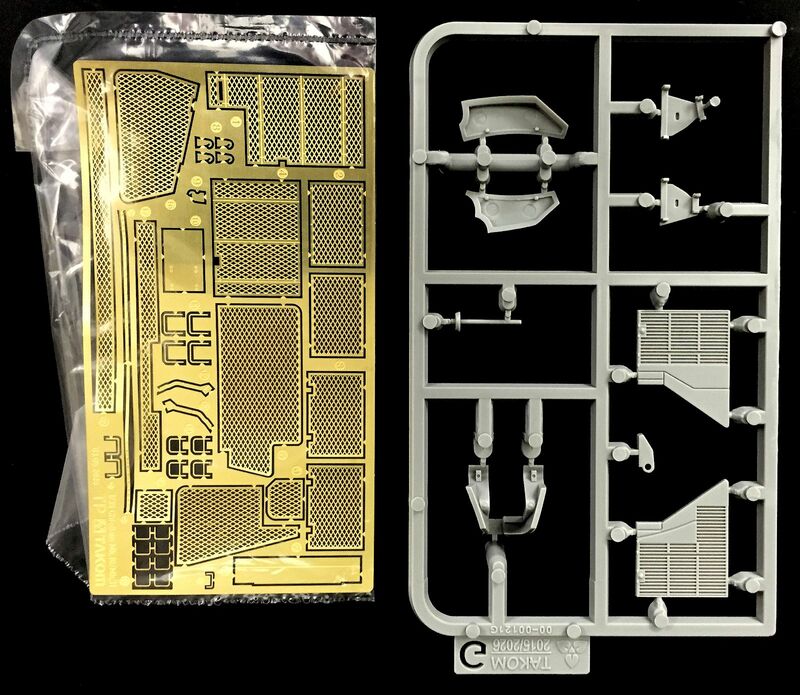 Two sets of Sprue A for the running gear. Again, everything looks to have a really high level of buildability coupled with a reasonable level of detail. Nothing worse than spending half of your build time on assembling running gear… Takom have simplified the process here. 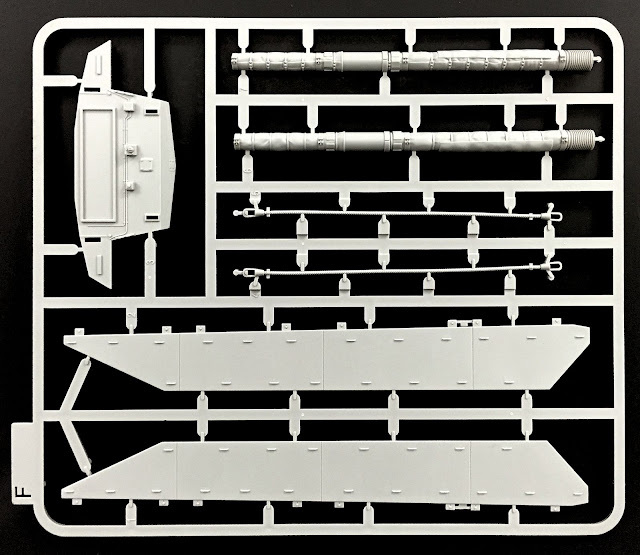 The side skirts, tow cables and barrel are all on Sprue F. The sculpting of the fabric shroud on the barrel is very convincing and should paint up beautifully. Hopefully the pieces align nicely to help sell the illusion. More bits! Nicely detailed. Lots of nuts and bolts that will pop with an oil wash after the painting stage. 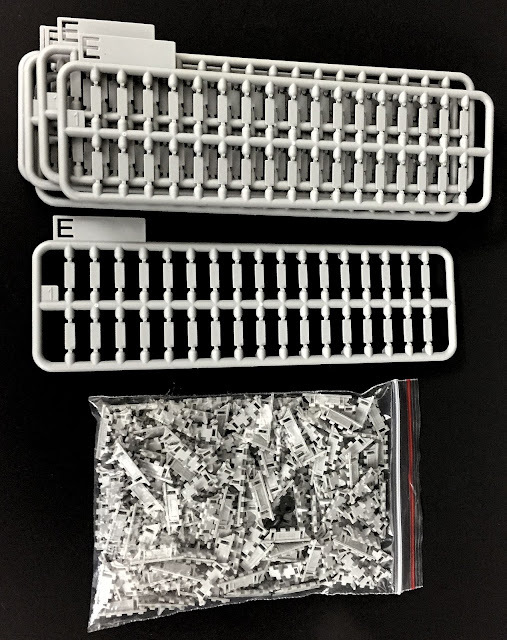 Finally, the small sprue G and the Photoetch fret. The PE will cover the engine grills as well as form parts of the storage baskets. It looks to be quite fine and should add a great deal to this model. There has been a lot of excitement around this release. The forums have been going wild and the anticipation has been growing. It is now, with great pleasure I can tell you that the wait has been worth it, because this kit really looks to be beautiful. It looks to have the right mix of ease of build and detail. What that means is this kit should be accessible to a broad range of builder on many different skill levels. The individual link tracks may scare a few people off. Perhaps a set of rubber band tracks may have opened Takom’s market even further, but this is far from an issue, and it really shouldn’t stop the novice builder from having a go. Obviously I can’t comment of fit at this stage, but looking at the production level of this kit I do have high expectations. I will be putting together a build review as well as a full painting and weathering guide in the coming weeks, so be sure to keep a look out. That tasty urban camouflage of the Berlin Brigade is calling me. These Chieftains will be a big hit for Takom, and rightly so. 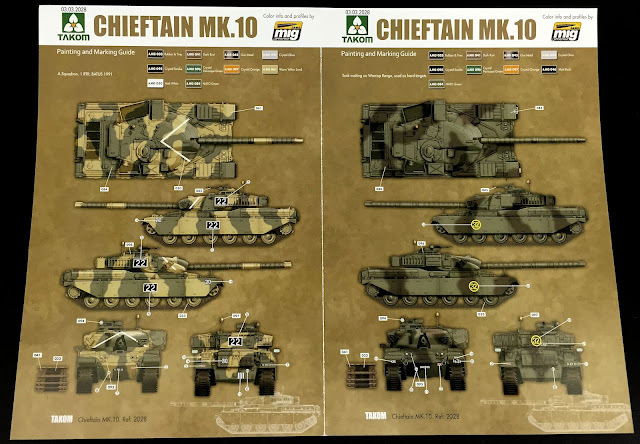 The Chieftain is a great looking tank, and with the 3 boxing options to choose from as well as multiple colour schemes, it’s hard to see how this wouldn’t please most armour modellers. SO there you have it. A quick, in box review of the brand new, Mk.10 Chieftain from Takom. So, how does the kit look? In a word, amazing. 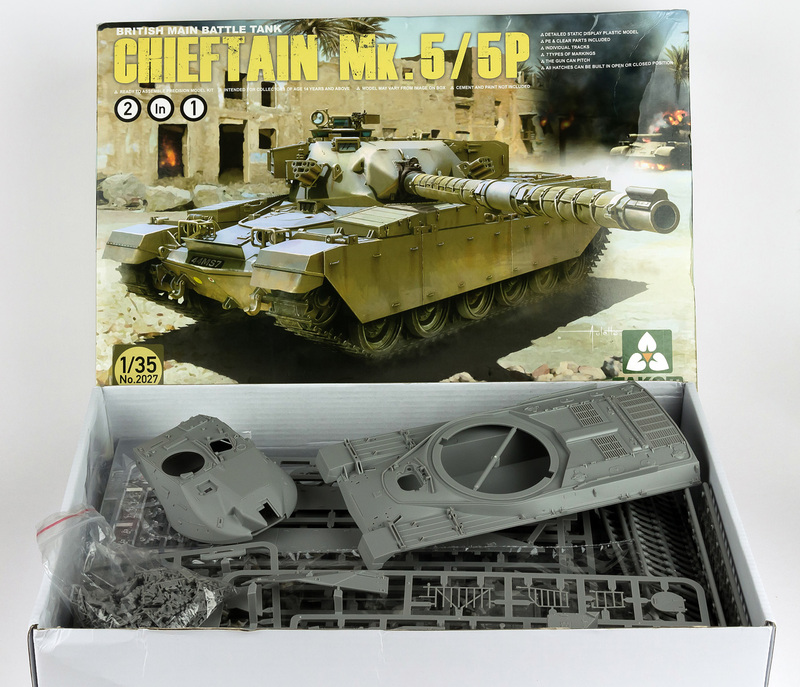 I have built a number of Takom kits now, and on first look, I have to say this has impressed me the most. If you happen to see it on the shelf, here is the tip……BUY IT before it sells out! See more of Clayton’s builds on his website www.theworkbench.com.au and his Facebook page .